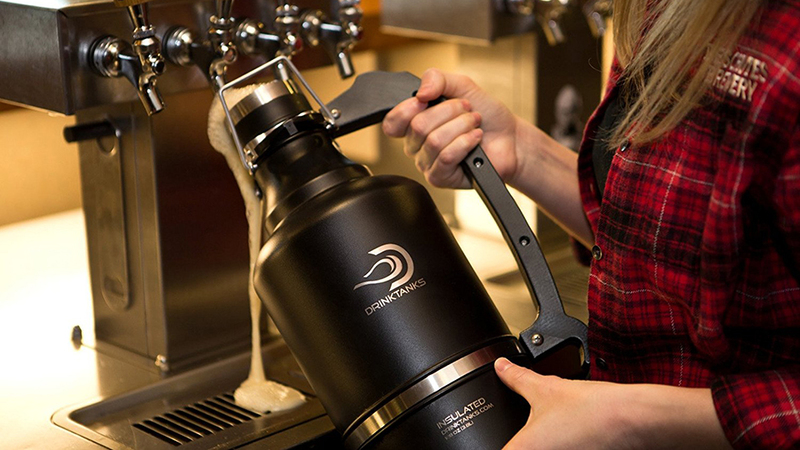 Founded in Bend in 2013, DrinkTanks® manufactures premium stainless steel, double-walled, vacuum insulated beverage growlers and cups, along with a full line of accessories, designed and assembled at the original DrinkTanks® headquarters. After two years of research and development, they launched The Perfect Growler & Personal Keg to keep beer cold, fresh, and carbonated. They continue to make changes in design and manufacturing to ensure they are always setting the standard for a cutting-edge product. The owners of DrinkTanks® made a conscious choice to bring as much of their production labor in-house as possible to provide jobs to people in Bend, bringing their labor costs up considerably higher than those who outsource, but they are proud to see the investment going back into the local community that has supported them from the beginning. They also strive to have a positive impact on the environment by manufacturing a product that is reusable, reducing the need for cans and bottles that often end up in landfills.